RAIN which has interrupted harvest in south eastern Australia has also buoyed prospects for pasture growth into summer, while China’s decision to look into the pricing of Australian barley has caused its market to dip and attracted some buying interest in inland areas. A sorghum crop on the Darling Downs, where yield prospects are good. “Some feedlots were still buying new crop harvest wheat off the header this week, though many appear to have switched to barley, from when it was hit hard two weeks ago,” GrainLinkNSW general manager trading Graham Allen said. After rain interruptions of the past week, harvest has gotten going again in fits and starts. While yields west of the Newell Highway in NSW remain disappointing, Slopes crops to the east have been yielding up to 3t per hectare in places which, though well below average, is among the best NSW has produced this harvest. “People are using the harvest period as an opportunity to put grain into silos, particularly knowing that come mid-January any paddock feed will be rapidly deteriorating. “The grazier demand has shrunk but not necessarily disappeared. Northern NSW and southern Queensland feedlots are reported to be booking cottonseed flat price from ginning until December 2019 at $450/t delivered, $100/t below the spot market. Trade sources said prompt cottonseed market volume had shrunk by around two-thirds from its drought-induced highs, though a few single-load sales to graziers and nearby feedlot business had traded at prices cheaper than a week ago. “Drought demand has virtually dried up after recent rain,” Woodside Commodities broker Hamish Steele-Park said. Current-crop values in the north easing; ex gin Moree and Darling Downs were now priced at around $540/t in the prompt market. New-crop cottonseed bids were around $370/t ex MIA gin, and $390/t ex Namoi Valley gin. Southern Cotton CEO Kate O’Callaghan said new-crop cotton area in the MIA looked like exceeding 40,000 hectares. “Even with 7 per cent water allocation, farmers are using that along with their carryover to sustain their cotton production. “High forward cotton lint prices, at better than $600 a bale, have enabled them to buy some high-priced temporary water allocation as well. In southern NSW, new-crop cottonseed is bid at $370/t, and old-crop is bid at around $445/t and buyers hope to be able to purchase cottonseed on the back of cheaper grain and hay. Southern Cotton finished ginning last month, and still has some stock held on behalf of growers, but other gins in southern NSW are still operating. On the Darling Downs, volume traded has been limited, and mostly confined to new-crop sorghum at around $365/t for March-April delivery, while wheat for December delivery has been trading at $448/t. The first of Western Australia’s new-crop wheat via Brisbane looks like it will price on to the Darling Downs at around $435/t after New Year. Alliance Grains principal Luke Walker said some end-users had this week been buying some wheat at the higher price to cover them into the New Year. 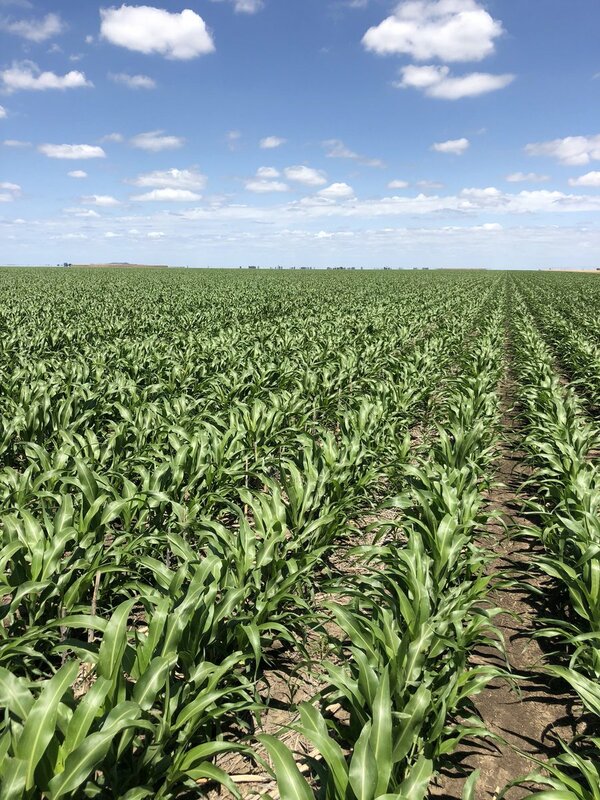 Despite hot and dry weather this week, the Darling Downs sorghum crop has good yield potential, with prospects for the summer crop becoming less even into NSW. The traditionally high-yielding sorghum areas on the southern Liverpool Plains are still in need of more rain to consolidate prospects for the crop, but most areas from Gunnedah north are looking at average prospects. Mr Walker said new-crop sorghum values had firmed in the past week by up to $15/t to reflect reduced grower selling tied to hot and dry weather, and also strength in wheat, which generally traded at $70/t over sorghum. “Sorghum is too dear to go to China at this stage, and it’s priced to go into the feed rations.